Any CCD based web cam which uses the NEC 16510 vertical driver chip or similar (I believe Samsung, Hatachi and Sony have similar devices) should be able to be modified in this way. This site contains an example modification of a vesta (675) however check the sites below for more information. Before you start please read this page!!!! 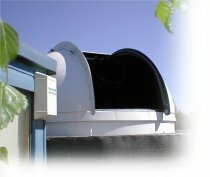 Alternatively if you are looking for a cooled 16 bit camera with very low read noise you might like to take a look at the Atik web site. 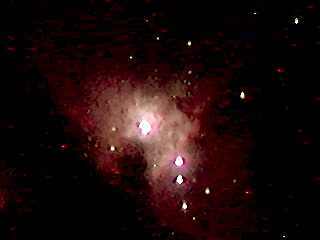 Polo's image of M42 taken with a modified webcam.